Duel Links Yami Marik event, The Winged Dragon of Ra, event guide, rewards, how to beat Yami Marik. Earn Map Fragments by defeating Duelists in Duel World! When you collect enough Map Fragments, you will be able to locate Rare Hunters! 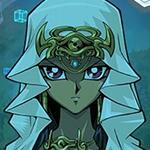 Defeat the Rare Hunters to find Yami Marik! By proceeding through the event, you can Duel against the Rare Hunters at the Gate! Collect Event Points to progress! When this monster is Normal Summoned, Flip Summoned, or Special Summoned, increase your Life Points by 1000 points. When this card is destroyed and sent to the Graveyard, you take 2000 points of damage. "Worm Drake" + "Humanoid Slime"
By defeating Marik Lvl.50 who will start appearing from Apr 23 13:00, you can obtain the Egyptian God Card, "The Winged Dragon of Ra"! 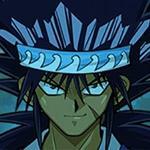 Face the overwhelming power of Yami Marik Lvl.50! Cannot be Special Summoned. Requires 3 Tributes to Normal Summon (cannot be Normal Set). This card's Normal Summon cannot be negated. When Normal Summoned, other cards and effects cannot be activated. When this card is Normal Summoned: You can pay Life Points so that you only have 100 left; this card gains ATK and DEF equal to the amount of Life Points paid. You can pay 1000 Life Points, then target 1 monster on the field; destroy that target. Players who have already received the Winged Dragon of Ra from previous events will receive a UR jewel instead. 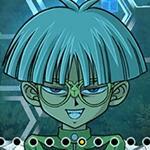 A new skill for Yami Marik, "Power of the Tributed", can be obtained by defeating Yami Marik Lvl 50. A skill that gives The Winged Dragon of Ra the combined Attack points and combined Defense points of the monsters used to tribute summon it. Gems can be obtained from event mission rewards (event), and farming Yami Marik. Win 1 Duel(s) against Yami Marik at Level 10 in Duel World. Win 1 Duel(s) against Yami Marik at Level 20 in Duel World. 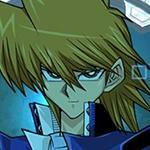 Win 1 Duel(s) against Yami Marik at Level 30 in Duel World. Win 1 Duel(s) against Yami Marik at Level 40 in Duel World. 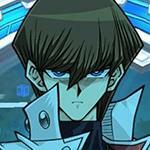 Win 20 Duel(s) against Yami Marik in Duel World. 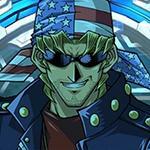 Win 40 Duel(s) against Yami Marik in Duel World. 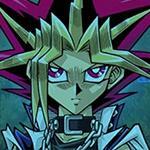 Play 30 Duel(s) against Yami Marik in Duel World. 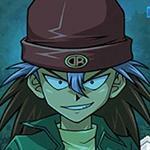 Play 60 Duel(s) against Yami Marik in Duel World. During this event Arkana will also be available at the gate with his Lvl 10, 20, 30 and 40 decks. 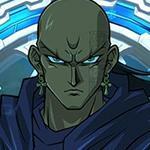 He will also be dropping a seperate set of reward cards from Yami Marik. Some of these cards were previously only obtainable through the Arkana roaming event, so this is a chance to farm them from him. Arkana only shows up at the gate as a lvl 20, but he drops some SR and UR cards, including Anti-Magic Arrows which is a very useful card for both farming and pvp. Chances of obtaining the rare cards can be low, but it can be a good way to get them early if you don't want to wait until the return of Arkana's next event. 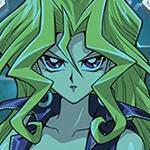 So no normal Marik yet. I would also like that card. But until then, I will make due with Vampire Koala. I think I heard on the Reddit page that the Battle City event is two parts long. Maybe the first stage is the pre-finals of the tournament when Yugi dueled all of those Rare Hunters (hence the Arkana unlock), and then maybe you will be on the blimp and will have to duel the eight finalists, with Marik unlockable at the end. When is again this evente, im again missed this evet? - Make possible to make glossy or prismatic any card, with the useless stones or something not only the card trader cards. 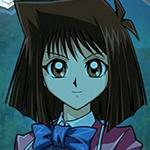 - Where is the tag duel idea? -Complete old archetypes (grave keepers, gem knights, harpies) so many of them just get left in oblivion. Konami should really hire you! Bought up so many good points there! Anyone know if they are going to release another way to obtain the card (as it is after the event)? Hey can Simeone Tell me how often Is this event? Same, but at least I have an army of humanoid slime.. in case.. meta? No Ra Disciple drop at all from this event, good thing I already got 14 copies of it from last event. Got a good amount of everything from him.....except Des Gardius. When will this end? On my game, it said April 25 2018 21:00? Does it us my time zone? Yes. My me, it ends on 4/26/18 at 1:00, for example. Seriously?! Today's Event missions are insane. How the hell can I summon Ra against Sylvans, SSA and E-con? Anyway, you can actually achieve the mission in friendly duel. I just tried it a minute ago.